Last week, we announced that two of our New York podiatric surgeons have been appointed to the medical staff of the NY Lizards Major League Lacrosse team. Their season will be starting up on April 27th against The Rattlers. We are in the middle of preseason checkups to help the players maintain awareness of potential injuries they may be predisposed to. With some attention now, we can work with them to start putting into practice methods to prevent these most common lacrosse injuries. Lacrosse season is about to begin and podiatrists are busy assessing players to help them prevent common sports injuries. Essentially, there are two main types of injuries that may occur within sports, lacrosse included: acute and chronic/overuse. Overuse injuries are caused by stress on the muscles, ligaments, tendons, and joints over time. These injuries are considered “preventable,” especially if players are willing to rest and recover, and coaches are willing to be patient when players suffer an injury. 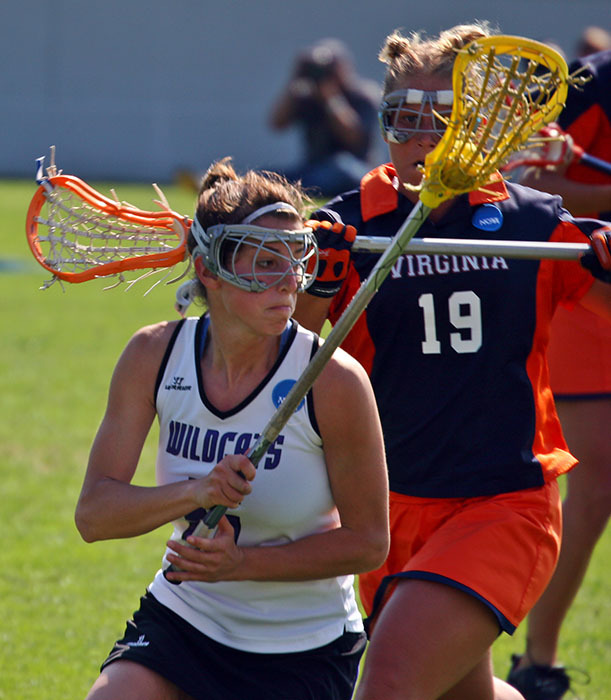 Examples of chronic lacrosse injuries include shin splints, tendinitis, and stress fractures. Acute injuries occur suddenly, without warning, due to pressure or force applied during contact. These injuries may be serious or even life-threatening. On-site medics respond with bracing, bandaging, and surgery, when necessary. Often, changes to the rules of the game are necessary to avoid large numbers of acute injuries. Examples of acute lacrosse injuries include concussions, groin pulls, and herniated disks. Ankle sprains are a very common lacrosse injury. 1. Ankle sprains – Ankle sprains account for 21% of reported injuries for women, and 16% of reported injuries for men. The most common type of sprain is the low ankle sprain, which often occurs during practice as the result of overuse. Another common injury occurs when a player inadvertently steps on a ball that has been left on the field and rolls the ankle. Lesser-common high ankle sprains occur when a player is struck by another player with one foot planted on the ground. 2. Plantar fasciitis – Heel pain is one of those injuries that tends to fall between the cracks in published studies about lacrosse injuries. Yet, it’s something we see quite commonly in our practice. Often, players think it’s “normal” to have foot pain due to exertion. However, plantar fasciitis — inflammation from the heel to the ball of the foot — is often due to weakened calf muscles, poor footwear choice, and overuse. 3. Achilles tendinitis – Inflammation of the Achilles tendon occurs as the result of overuse. This includes pain behind the ankle that is tender to the touch. The pain may be strongest at the start of practice and subside as the practice wears on, but becomes chronic. New footwear, increased activity, inadequate recovery time, or weakened calf muscles can all cause this condition. 4. Knee derangement – Ligament tears can occur from overuse or body contact. The knee has four major ligaments that can stretch and tear: the Anterior Cruciate Ligament (ACL), Medial Collateral Ligament (MCL), Posterior Cruciate Ligament (PCL), and the Lateral Collateral Ligament (LCL). These ligaments restrict abnormal movement of the knee, carry body weight, and stabilize movement. Cartilage in the knee may also wear away over time, causing pain and arthritis. 5. Lower back pain – All sorts of different untreated injuries may contribute to lower back pain. It could take the form of a herniated disk, stress fractures, pulled muscles related to improper form, or muscular imbalances in the body. Learn how to boost your recovery and heal faster in this neat infographic and at The Center for Podiatric Care & Sports Medicine in NY. Here at The Center for Podiatric Care and Sports Medicine, we offer a number of innovative treatments for lacrosse players to recover from injury and get back to the game sooner rather than later. Gait analysis on a computerized treadmill with video synchronization can identify muscular imbalances and movements that may predispose a person to injury. Customized exercise programs can improve a player’s strength and flexibility, which also makes injury less likely. Neuromuscular electrical stimulation, multi-locked laser system, and extracorporeal pulse activation treatment are all extremely modern technological advancements used to treat lacrosse injuries in a non-invasive manner. Book your appointment at our Manhattan or White Plains sports medicine centers today!